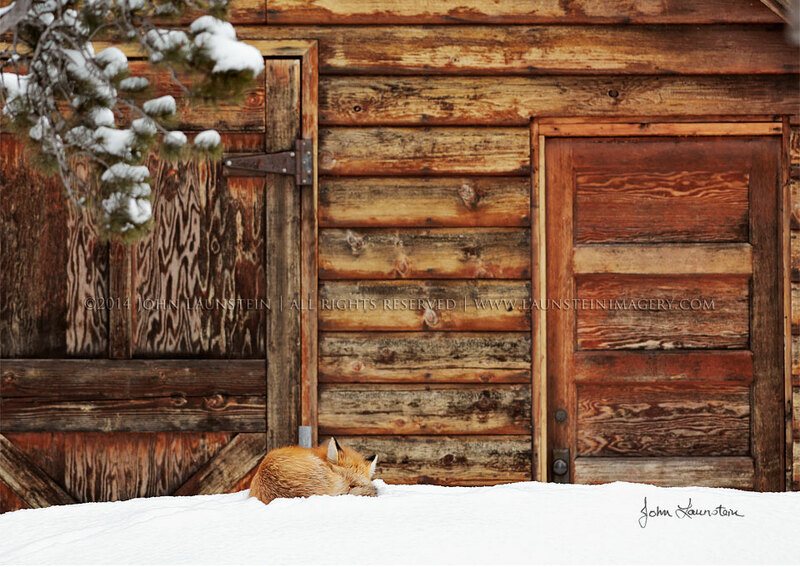 John and his family have been photographing this Red Fox for several years as he hunts and cares for his family each spring in Waterton Lakes National Park, Alberta. They caught him curled up for a long winter’s nap on a blustery March day as he made use of a nearby shed to provide some break from the bitterly cold wind. Shortly after this picture was taken it began snowing, and they left him to his slumber. They checked back a couple hours later, and there he was, now blanketed in snow, still sleeping the day away. Also available in a 12-pack as well as in our 6-pack and 12-pack of assorted popular greeting cards!